Earlier this week, the March PS Plus games were revealed, giving us a look at how Sony might be handling things going forward, now that PS3 and PS Vita games have gotten the ax. Some were disappointed with the lineup, giving criticism of the value and feeling let down by only having two games. For those unaware, the two PS Plus games headlining March are Call of Duty: Modern Warfare Remastered and puzzle exploration game, The Witness. Many of you have probably heard of Modern Warfare Remastered, but the lesser known The Witness, seems to be a point of contention with this lineup of games. Whatever the case may be, if this is what the lineup is going to look like going forward, I’m excited about the future of PS Plus. Sure, coming down to only two games from the usual six we used to get was bound to cause a ruckus and understandably so. The two games that are available with PS Plus each month need to make up for the quality and value of what used to be six, so PlayStation has a seemingly tough task ahead of them. But let’s take a closer look at March’s PS Plus games, because I truly believe this is one of the best lineups the subscription has ever had. Looking at their prices alone, Modern Warfare Remastered and The Witness are normally priced at $39.99 each, so from a purely monetary perspective, March will have already paid for itself if you’re a PS Plus subscriber. Financial value aside, these two games excel in quality, as well. 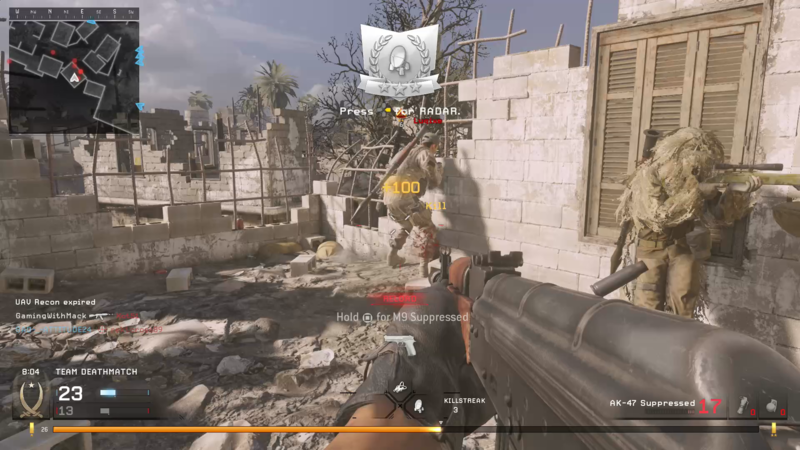 When thinking of Modern Warfare Remastered, some may roll their eyes or refer to the Call of Duty series as “the Madden of FPS.” To an extent, that’s not entirely untrue, but this particular entry in the series is special and the remastered version adds a myriad of features that modernize an already fantastic shooter. The singleplayer campaign mode is full of twists and turns, includes a great variety of missions with some of the most memorable moments out of any military shooter I’ve ever played. Missions like “All Ghillied Up” that feature you and a partner sneaking around a grassy area to get to a hotel to assassinate your target are legendary. Plus, who can forget that opening level in which you make your escape from a sinking ship? 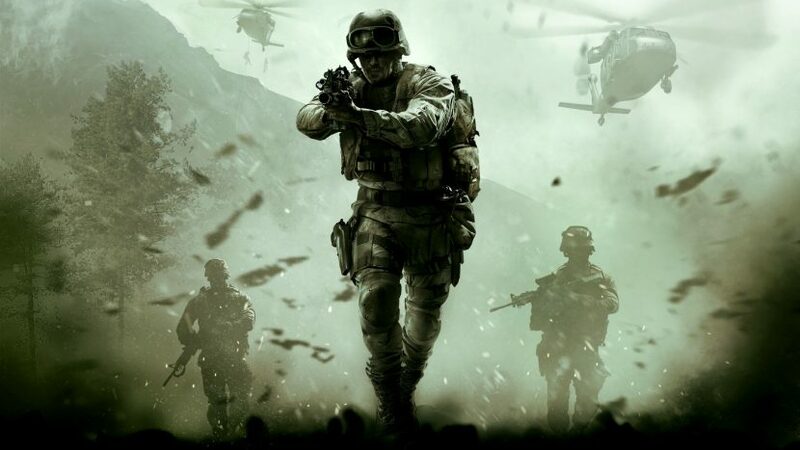 The singleplayer alone is worth your time, but the real star of the show is the multiplayer mode, which arguably jump started the Call of Duty franchise into what it is today. I know multiplayer isn’t for everyone, but there is a die hard community out there that still plays and it’s exciting that there will be an influx of players once March rolls around. These days, multiplayer shooters have gone in the direction of Battle Royale, but there was once a time when a simple Team Deathmatch would satisfy the community. The multiplayer mode was simple, giving you a manageable list of customization options to your character and weapons. In the remaster, there are modern inclusions, like more gun skins, a slew of interesting melee weapons to choose from, and the ability to choose what your character looks like. The beauty of the multiplayer is in its simplicity, rewarding skillful players, while giving newcomers a welcoming experience. There are only three Killstreaks, so the majority of the gameplay comes down to just you and a weapon. The map design is balanced with each one having a symmetrical design and a fantastic sense of verticality. In short, if you like first person shooters and miss the simplistic design of multiplayer games, give Modern Warfare Remastered a shot. As for The Witness, the lesser known title of the two, let me start by saying that this is the most immaculately designed game I have ever played. To set the stage, it’s a first person puzzle game, in which you must create a lines on a grid to open doors. But that’s a very reductive way of explaining things, though. When it starts, it’s quite run-of-the-mill. You follow patterns on the early level grids and it almost immediately makes sense. But each grid gets slightly more difficult and teaches you the “rule” of that area. You use said rule to proceed and move on to the next area. But once you move on, the next area has an entirely new rule to follow, each one getting progressively more outlandish than the last. I can’t talk too much on what those rules are because it would ruin the game for you, but take my word that trying to solve these puzzles will probably be a humbling experience. When I played, I had a pen and paper handy, along with my camera on my phone and sometimes another person with me to bounce ideas off of. Whatever you do, don’t look up a guide if you get stuck. It’s very important that you go through without the use of a guide. There’s a magical moment when you figure out the rule of an area, where it clicks, which is such a satisfying feeling. I lost count of the amount of times I said “I’ve never seen a game do that” and the game continued to surprise me and make me think about things differently. It’s almost a religious experience in a weird way. You will likely have a roller coaster of feelings while playing The Witness, because you will get frustrated and you will likely have to quit and come back. Many times, I’d complete an insanely difficult puzzle after almost an hour of trying and give sigh of relief, only to be met with an even more difficult puzzle that follows. It’s an interesting mix of overwhelming difficulty, looking at things from a new perspective (literally), satisfaction, and testing your skills and it’s done in such a beautiful way. 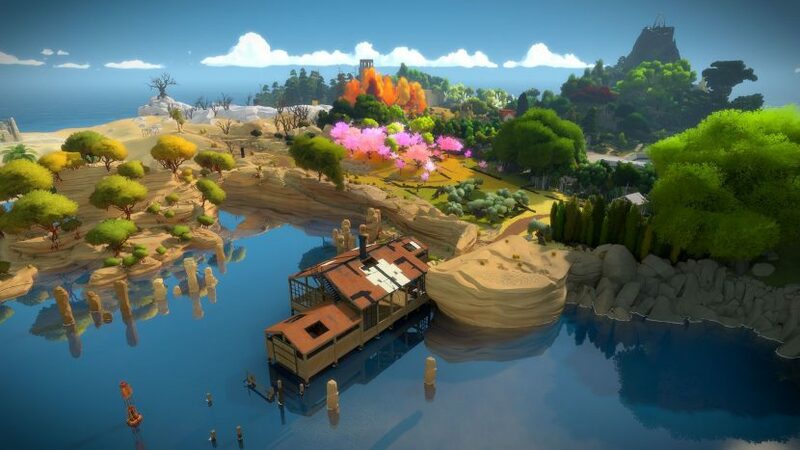 I am reluctant to call any game perfect, but The Witness is as close to that notion as any game I’ve seen. It’s not necessarily fun, but the way it’s designed absolutely must be experienced. Even if puzzle games aren’t for you, this game is important and should be given a chance. Seeing as how both of these games are special, each with varying degrees of challenge, art styles, longevity, and overall importance, it’s not crazy to consider this one of the best months for PlayStation Plus. It’s easy to see why someone might not be interested in these games, especially if you don’t like shooters or solving puzzles. Even still, the negative reception to March’s PS Plus games seems unwarranted. It’s exciting that many players will get to experience these two games for the first time and whether they like them or not, having these two titles in your repertoire is never a bad thing.